We spend most of our time in Lijiang. 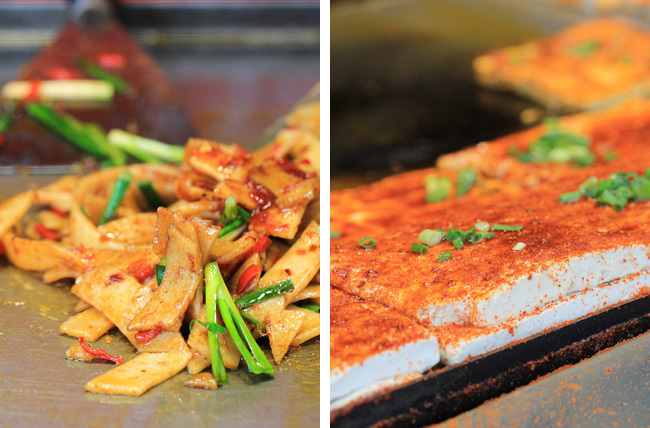 Since it is near to Sichuan province, there are many Sichuan people selling real dishes. 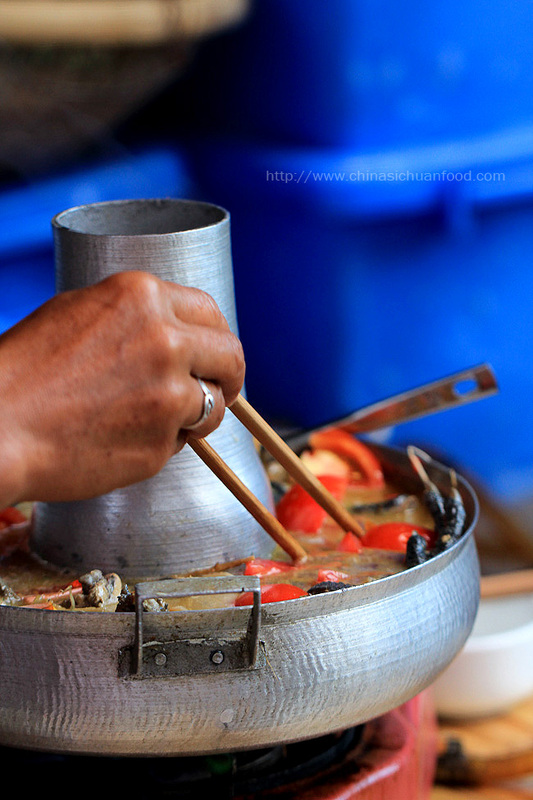 Most of the time, I choose to taste those yummy and interesting local foods. 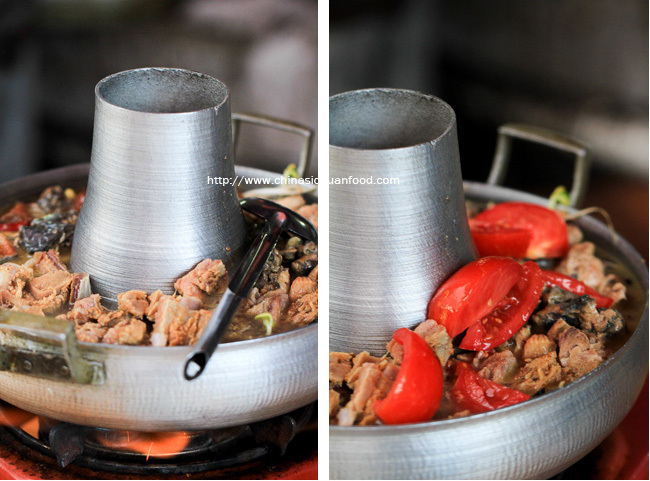 After arriving Lijiang, we were recommended having this famous Naxi Chicken and rib hot pot. Naxi is a minority living in Lijiang area Yunnan. Compared with the Sichuan hot pot, this Naxi hot pot uses less ingredients usually with local chicken, preserved ribs and mild chicken stock. What interesting is the dip. 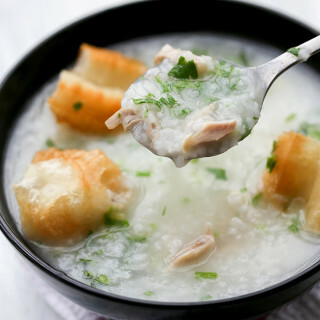 Following is a picture of common Naxi hot pot dip. 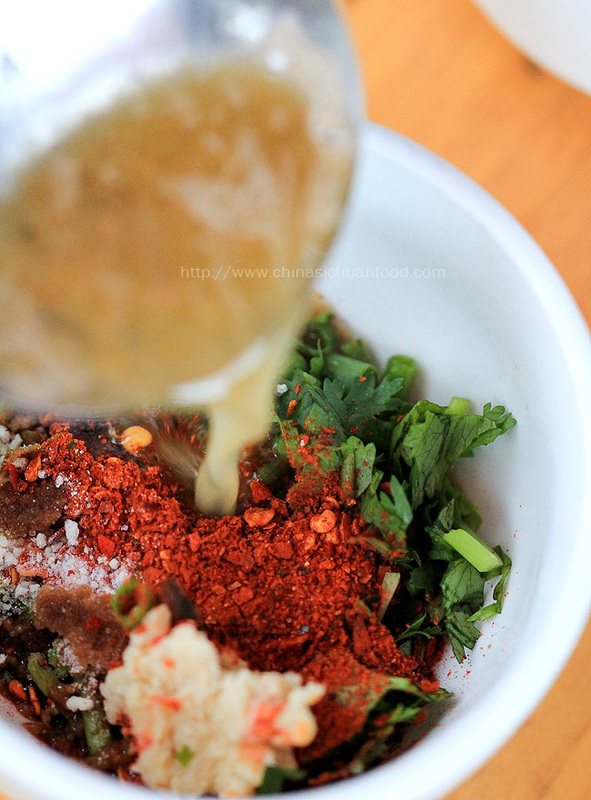 Spicy red pepper powder,salt, chopped coriander, spring onions and fermented bean curd are combined and then mixed with the soup base of the hot pot. Originally, charcoal is added in the center chimney like container. But now, gas has been used for heating and boiled water is added instead. In Dali prefecture, we encountered with this interesting food named as rushan(乳扇), one type of cow’s milk cheese of Yunnan. Usually this cheese is grilled and serve with local fresh flower sauces for example rose sauce. It tastes really crispy and full of milk flavor. People in Yunnan is skilled in making ham with local salt. 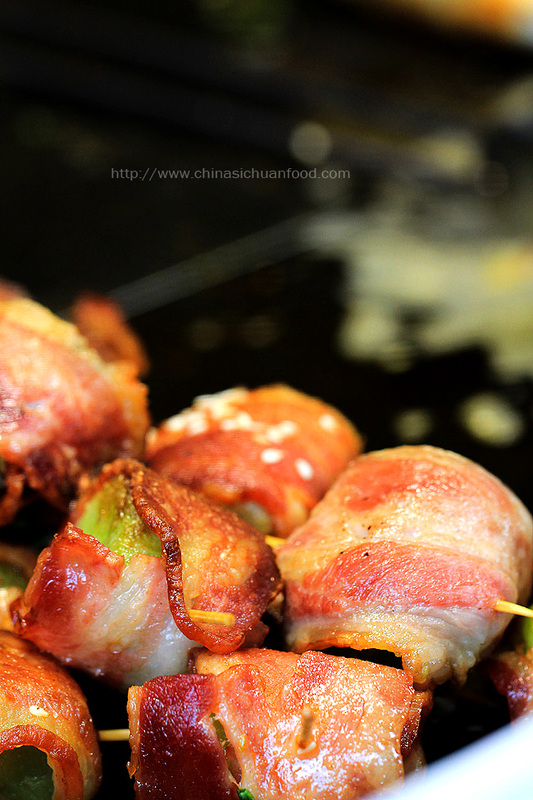 There are famous Xuanwei Ham and Nuodeng ham. 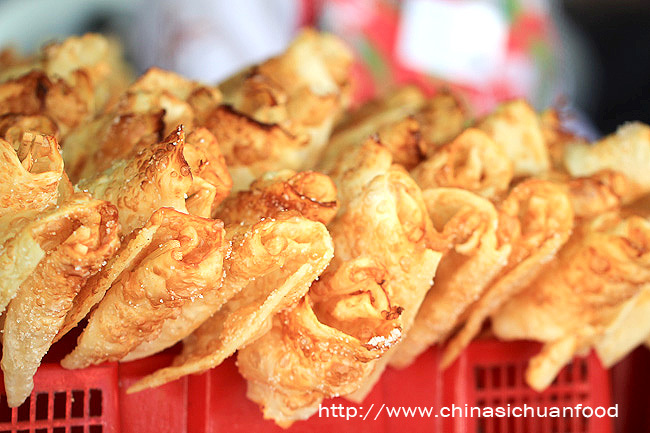 Duodeng ham is usually made by Bai people and is famous for the duodeng salt used for preserving the ham. 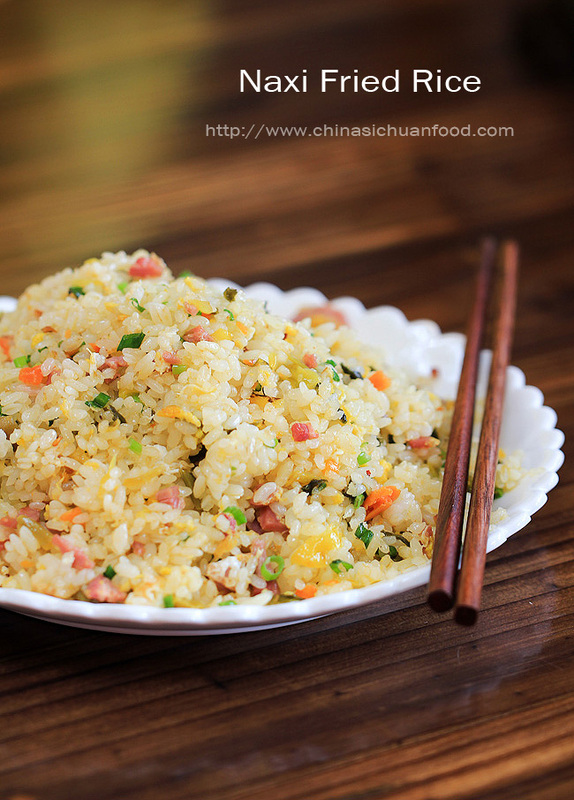 Yunnan Ham is used in many snacks and common dishes. Personally I love this fried rice very much. 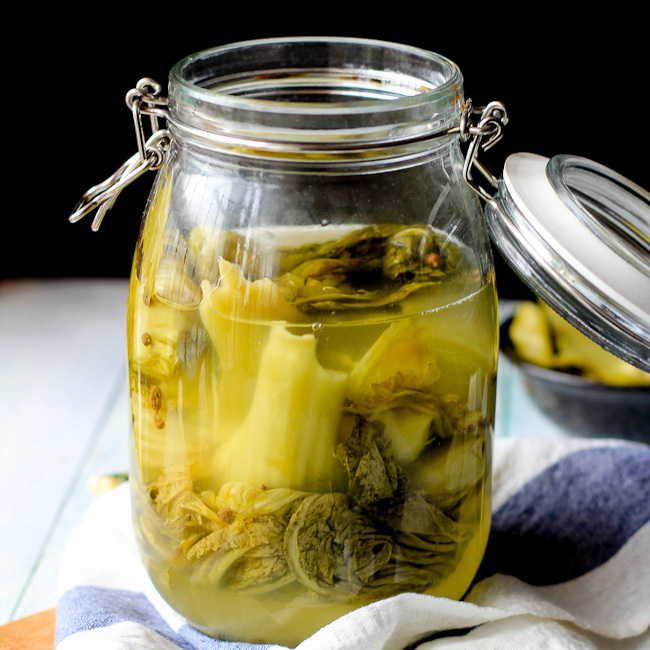 Pickled vegetables and ham cubes gives a strong flavor with lighter scrambled egg. 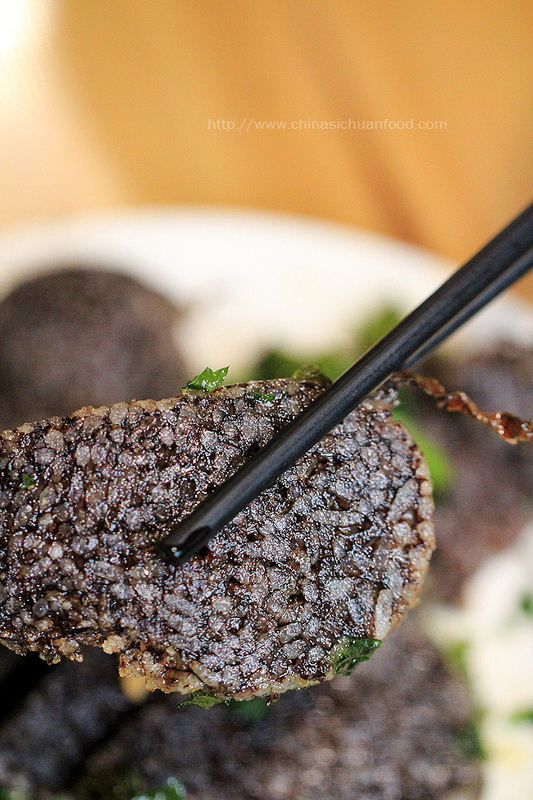 Usually Naxi rice sausage use pork blood, rice and herbs and spices. Then dried sausage is sliced for steaming or pan-fried. The concept is similar to pork sausages in other provinces. People prepare this sausage in the winter before spring festival. Personally I think this pancake or naxi pie is not so unique. Chive, tofu and crystal noodles is used as filling. Steamed bowls with beef , stuffed mushrooms. 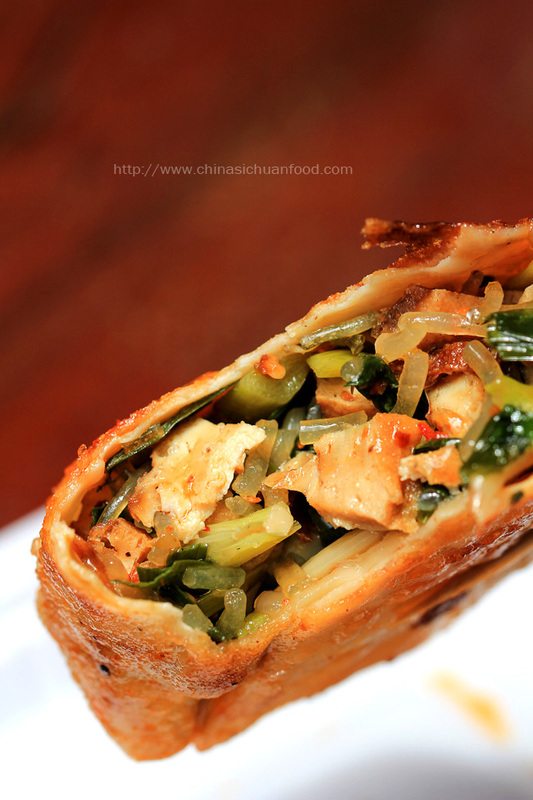 Bamboo tube cooked rice is a common snack in western provinces of China. 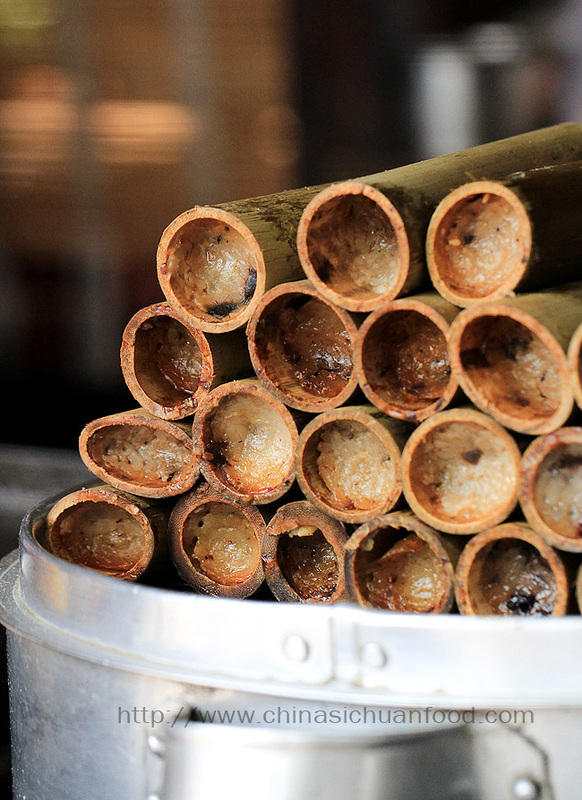 When I was still a child, bamboo tube cooked rice was the first choice for a spring picnic. The rice absorbs the faint aroma of bamboo tube, which further gives a unique flavor. If you never visited Yunnan province, you cannot image how much love Yunnan people give to their unique erkuai and rice noodles. Erkuai is used in various recipes including grilled recipes, stir-fry recipes or in soups. 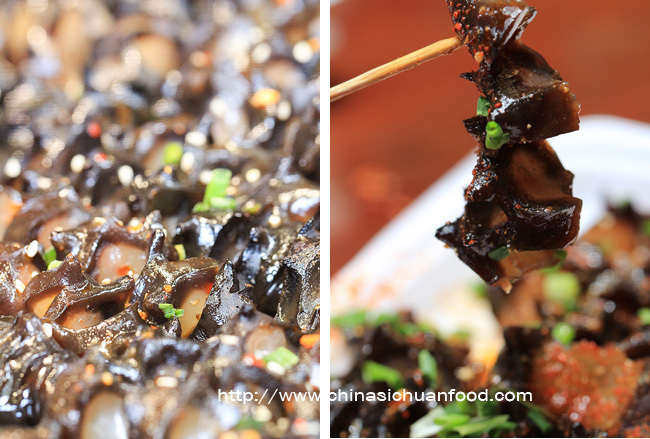 The right picture is famous Yunnan sticky tofu which is originated from Jianshui area. 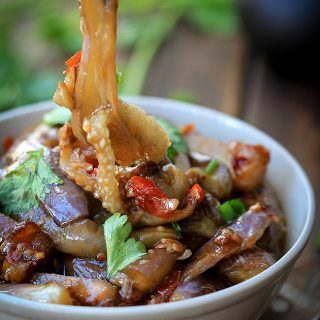 Yunnan is famous for various wild mushrooms. Unfortunately, it is not the best time for enjoying mushrooms. However we get one interesting mushrooms. This mushroom looks and tastes like wood ear mushrooms. 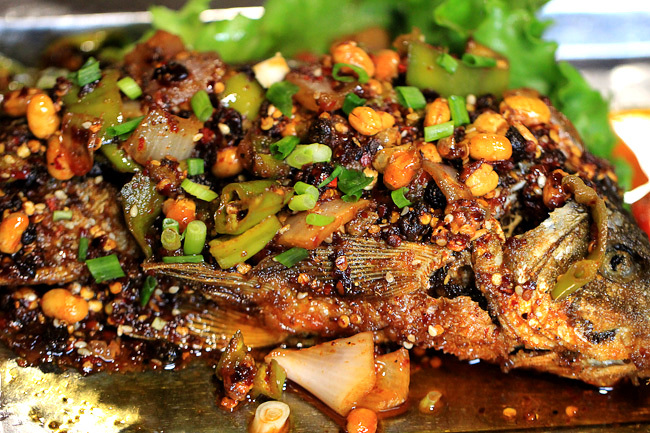 This is the famous Naxi grilled fish. 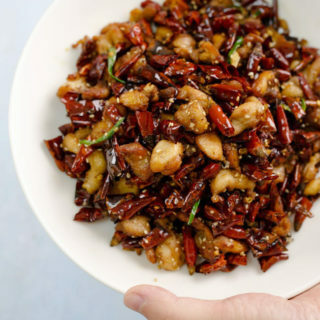 It really looks similar to me since in Sichuan cuisine, we have yummy spicy grilled fish with similar spices and seasonings. 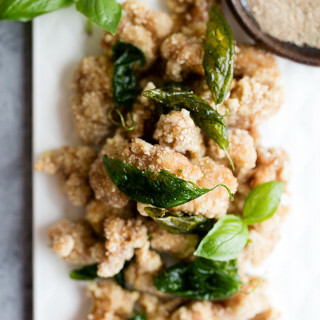 However, this grilled fish is deep-fried firstly and thus having a crispier taste. 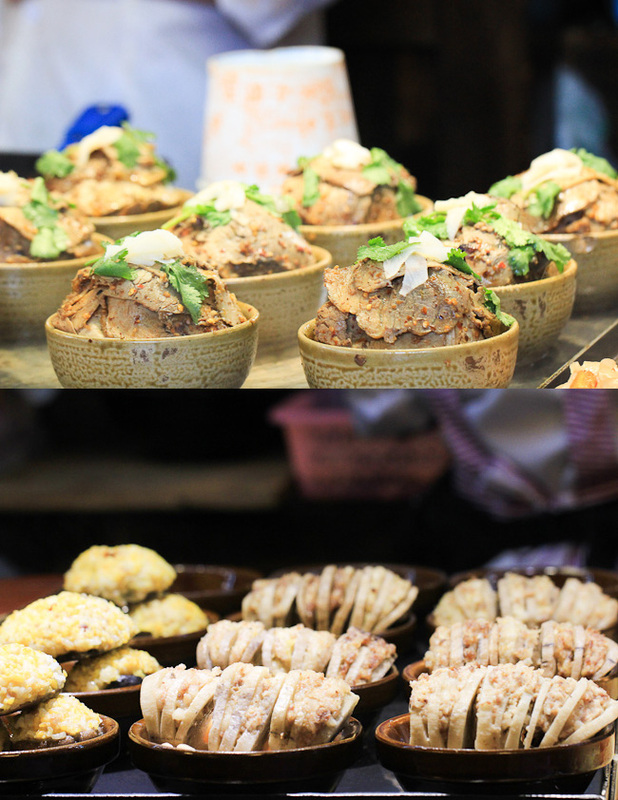 That’s all about the yummy food in this wonderful Yunnan trip. Some of the inspired recipes will follow up. If you are interested in some of the food, leave a comment for further discussion. What an interesting post! I have tried one dish from Yunnan when I lived in Hong Kong. I don’t know the name of it, but it was the noodle soup looks like the last photo of yours. It had minced pork and pickled vegetables, and the stock has a flavor of soy bean paste. 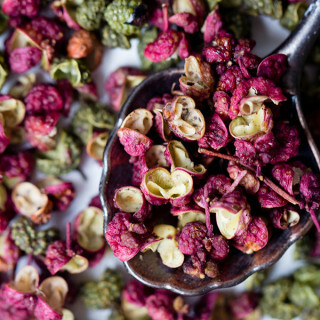 Very slightly spicy with a ton of flavor. 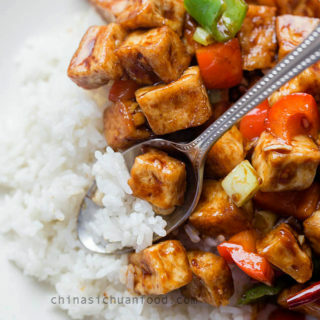 Do you know what the dish is called? I often miss the noodle soup and looking forward to know how to make it. 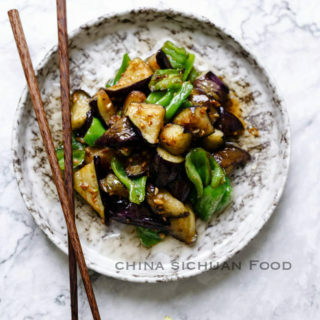 There are in fact many similar recipes in Yunnan province concerning about the rice noodles especially. Most of them really taste similar. As for the one you mentioned, there might be beans added in the chicken stock. Do you remember is there any peas or soy beans found in the soup base. I have find those two different versions. 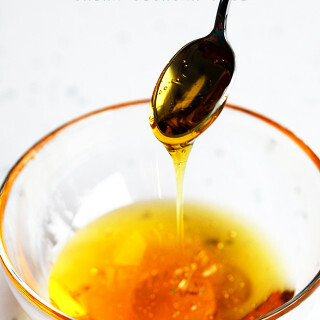 I just found your blog and so excited to try out some of your recipes. Thanks for sharing your culinary recipes and experiences with us. 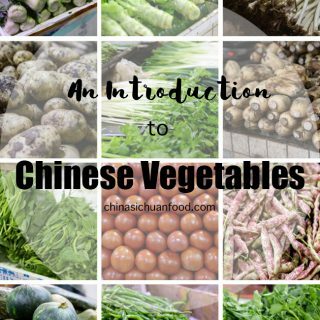 It so hard to find authentic Chinese recipes online. 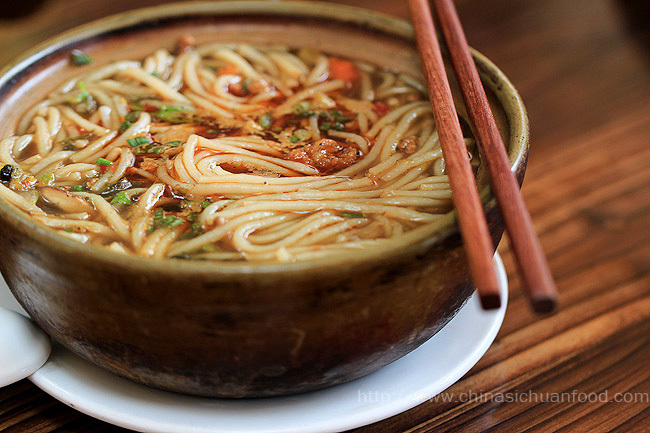 Have you ever tried making Yunnan Cross Bridge Noodle Soup? I love cross bridge noodle soup very much. That’s a huge project to prepare at home. But I will make it on the list and find the chance to do it at home.